Eugene Mezini is an expert on Toronto’s real estate market. In part 1 of our ‘Ask an Expert’ series, Eugene provides some insights on the condo market, the risks of investing in a condo, and expert information which will help the savvy investor to find the best imaginable deal. WHAT’S THE CONDO RENTAL MARKET LIKE THESE DAYS? Extremely hot. The first quarter of 2016 has been one of the hottest rental markets we have ever seen. Many of my clients have increased their rents $100 or more from last year. Each year they hold onto their properties, the more money they make. And no matter what happens to the real estate market, pretty much everyone will agree on one thing – the rental market will continue to boom. People will always need a place to call home and prices are continually rising. WHAT ARE THE RISKS IN INVESTING IN A CONDO? Most of the risks apply to speculators and short-term investors. Either you overleverage yourself or you cannot afford the condo and are just hoping it goes up in value enough for you to flip it. Avoid both. Have a plan B.
Additionally, maintenance fee spikes are another risk for investing in condos. To help mitigate this, purchase from reputable developers and make sure you review the status certificate carefully if you are buying a resale condo. If the financial health of a condo is not good, stay away from it. Finally, it’s important to remember that developers minimize a lot of the risk these days. 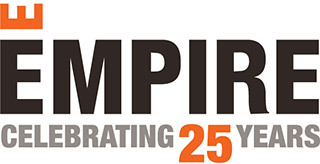 For example, Empire Midtown is offering 3 years of guaranteed rent for investors at a rate of $3 per square foot. The units will all have positive cash flow. This means $300-$500 in cash flow with a 20% down payment. Unless the interest rate doubles or triples in the next 2 years, the risk is virtually gone because developers will guarantee you a tenant. I KEEP HEARING ABOUT A REAL-ESTATE BUBBLE, SHOULD I WAIT FOR IT TO “BURST” BEFORE INVESTING? I do not see a bubble that is about to burst. Don’t believe that will happen. Maybe it levels off and grows at a slower pace, but I don’t see a bubble. It’s very simple economics; supply and demand. We have way more demand than supply in right now and the Toronto real estate market will only continue to grow. We have over 100,000 people coming to the GTA every year. Simply put, our supply of homes and condos just cannot keep up with this demand. Another reason why the real estate market is booming is that the value of the Canadian dollar is very weak right now. Because of this, we have money coming from all over the world to invest in Canada. And why wait for the market to burst before investing? It could take five, ten, twenty years for a burst. Trying to time the market is foolish. Buy what you can afford now and sit and wait. WHEN INVESTING IN REAL ESTATE, SHOULD I BE THINKING LONG-TERM, MEDIUM-TERM OR SHORT-TERM? It will depend on the investor. There is no best formula for everyone. For some it will make more sense to think short-term, and for others it will be better to hold long-term. It will depend on the type of investment you are making. Some want to buy land, build a home and sell it. Some want to rent out their homes/condos and make rental income. Some want to buy pre-construction condos and sell them before closing. There are many choices and options. With that in mind though, it is always best to have a long-term vision for the investment. If you do buy that pre-construction condo and you cannot sell it before closing, do you have the financial ability to close on it? If you build a home and cannot sell it for the price you want, can you afford to keep paying the mortgage payments for 3, 6, 12 months? Always have a PLAN B.